Marstons Pedigree Ale is a popular Ale available from DrinkSupermarket.com in 50cl to buy online. Visit DrinkSupermarket.com for the best price for 50cl of Marstons Pedigree Ale or compare prices on our other Ale products. The early 1950's was a defining time for Marstons when they unveiled their flagship Pedigree Beer. An instant success because of its cask conditioning and mix of classic English hops the beer is fermented and allowed to mature in its own time. The beer aroma is one of slightly bitter undertones with spices and a full malt body. The beer is best enjoyed with rich foods. Where to buy Marstons Pedigree Ale ? Marstons Pedigree Ale Supermarkets & Stockists. 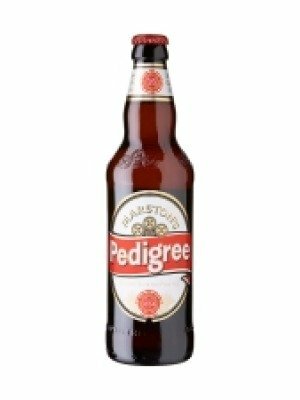 You can buy Marstons Pedigree Ale online in most retailers and find it in the Ale aisle in supermarkets but we found the best deals online for Marstons Pedigree Ale in DrinkSupermarket.com, and others. Compare the current price of Marstons Pedigree Ale in 50cl size in the table of offers below. Simply click on the button to order Marstons Pedigree Ale online now.